Our Shoe-Sizer is used to measure your feet in a precise and consistent way, in order to make sure we send you the correct shoes for you exact foot requirements. 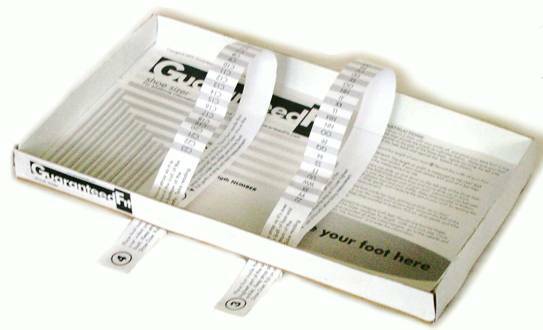 Once you receive the Shoe-Sizer, you enter the measurements of your foot in "My Account". There is no need to send the Shoe-Sizer back to us.